The Dogs discover that gamblers are bringing the counterfeit money from Port Caynn. In Port Caynn, Beka delves deep into the gambling world, where she meets a charming banking clerk named Dale Rowan. Beka thinks she may be falling for Rowan, but she won't let anything - or anyone - jeopardize her mission. As she heads north to an abandoned silver mine, it won't be enough for Beka be her usual terrier self. She'll have to learn from Achoo to sniff out the criminals, to be a Bloodhound. 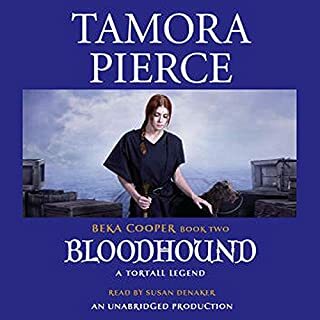 Tamora Pierce is my go to for comfort reading! Love all her stories, but Beka is my all time favorite! Now that I have a daughter I cannot wait to read her the Tortall series and the Circle series. I hope she will share the love of these stories with their strong female characters, good values, and the sense of wonder in them. Feyre survived Amarantha's clutches to return to the Spring Court - but at a steep cost. Though she now has the powers of the High Fae, her heart remains human, and it can't forget the terrible deeds she performed to save Tamlin's people. Nor has Feyre forgotten her bargain with Rhysand, High Lord of the feared Night Court. As Feyre navigates its dark web of politics, passion, and dazzling power, a greater evil looms - and she might be key to stopping it. 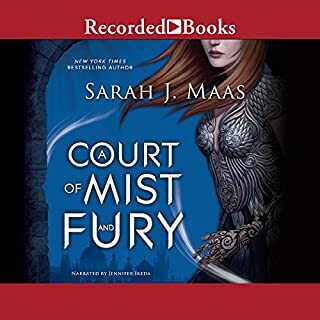 Sarah Maas knows how to write characters with so much emotional depth that their lives and stories leap off the page straight into the reader's heart. I didn't want to put this one down and I didn't want it to end either. I think I am in love!